Viridian Control System offers improved wait times and more efficient dispatching software, according to the company. 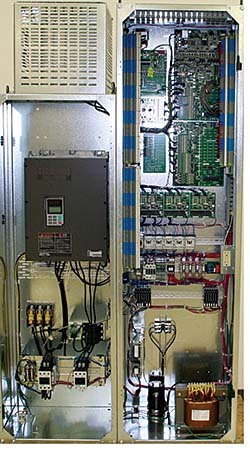 Flexible, compact design allows for easy customization and installation in elevator. Free-standing kiosks for dispatch system are designed for lobbies and other high-traffic areas; mounted units are available in touchscreen or push-button models and are designed for non-lobby floors. Are Elevators the Next Smart Items for Facility and Maintenance Managers?